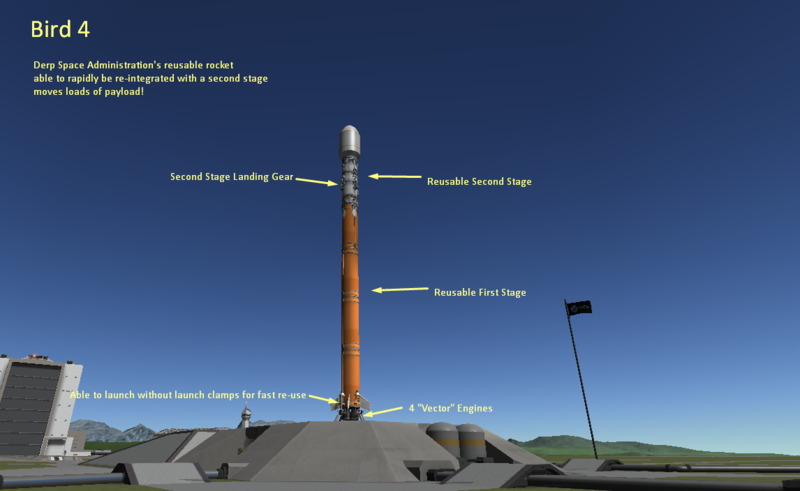 A stock rocket called Bird 4. Built with 125 of the finest parts, its root part is dockingPortLarge. 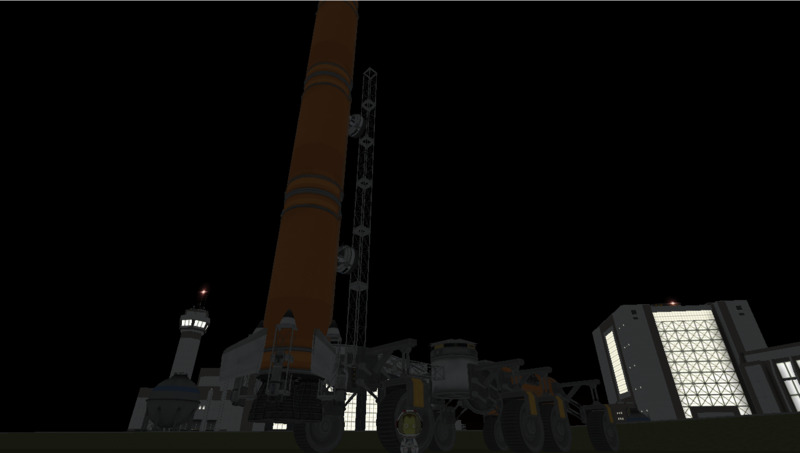 Built in the VAB in KSP version 1.2.9.